Drugs sold on the Darknet is growing rapidly and it’s becoming difficult for Hong Kong’s police to keep up. Mr Lee’s Greater Hong Kong Market was supposedly the first site on the Darknet specifically targeted towards the people of Hong Kong. This site (and others like it around the world) allow consumers to purchase illegal items such as drugs and firearms online while remaining completely anonymous. Gaining popularity around the globe, these sites are incredibly difficult to police, meaning the gateways to purchasing all sorts of illegal items and services are left wide open. Also known as the Dark Web or the Dark Internet, the Darknet is a specific network on the World Wide Web that is invisible to your everyday search engines. This network requires specific software and configurations and often uses non-standard communication protocols and ports. In other words, the information stored on the Darknet can only be accessed by those who truly know what they are looking for. However, a quick Google search will easily pull up a how-to page on gaining access to this sinister side of the web. But once you are inside the Darknet, it is nearly impossible to trace IP addresses or find any clues as to where information is coming from. According to a UK Parliamentary report from May 2015, there were approximately 2.5 million users who had access to the Darknet, and it was estimated that roughly 50% of those users were employing the software for criminal purposes. These criminal activities include drug trafficking, illegal selling of firearms, and even the ability to hire a hit man. Despite fairly strict drug laws in Hong Kong, many residents claim that drugs such as marijuana and even cocaine are not hard to find on the streets. One expat living in the city claims that walking down the main drag, Wan Chai, is essentially all you need to do. After one week, he says, he was offered cocaine. However, as drug users get younger, it is likely that more and more users will turn to the Darknet to purchase all types of drugs including cocaine, ecstasy, ketamine and marijuana. As well, just as Amazon or eBay have hundreds of customer reviews on their products — these sites offer the opportunity for reviews on drugs. Thus, most drugs bought on the Darknet will be of a higher quality, urging more people to leave conventional drug-buying methods behind. Since the opening of Mr Lee’s Greater Hong Kong Market, there are many more Darknet Hong Kong sites, including one called Hong Kong Post which advertises a free ecstasy pill shipped directly to your home for any new clients. These sites are using promotional and marketing tactics to pull business from street sales (or perhaps they are the same person, it is difficult to say). For some drug dealers, dealing online may seem like a safer option, as they are able to remain in the safety of their own home away from the police. And in fact, policing the Darknet as a whole is proving to be quite difficult for authorities. Founded in 2011, Silk Road was the largest and most famous online market used for illegal trafficking of drugs and other illegal products. Despite massive efforts from the U.S.A.’s DEA and FBI, it took a long time to finally track down the IP address of founder Ross William Ulbrecht in San Francisco in 2013. But Hong Kong police seem to remain optimistic that they can remain on top of this new ground on which the war on drugs is being fought. They conduct “proactive cyber patrols of websites, discussion forums and social networking sites with a view to identifying drug trafficking activities via the web” and monitor the latest drug smuggling trends through intelligence gathering. Hopefully this will be enough to combat these sites, as the more convenient it is to purchase drugs, the higher the risk the community has of developing addiction. This may seem slightly obvious, but the easier it is for someone to purchase drugs, the more likely they are to try them. And in Hong Kong, where many citizens are wealthy, this adds to the risk. 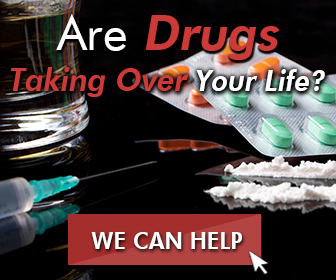 When it is easy to purchase drugs and one has money to spare, the risk for drug addiction increases exponentially. It will be important for Hong Kong’s officials to focus on drug addiction education and keeping the public aware of the realistic dangers of drug use while they come up with a solid plan on how to keep the Darknet and the drugs it brings into people’s homes at bay. Understanding the facts about drug use and addiction is an important part of drug prevention, especially when getting drugs seems to be easier than ever before. The Cabin Hong Kong offers effective and discreet outpatient addiction treatment for both substance and process addictions, feel free to contact us if you or a loved one needs professional help.